People don’t want to be bothered about the details regarding the charging process of their devices, right? Simply, we as a whole would rather just get straight to the point by plugging our charging cables to our devices and let it do its thing. 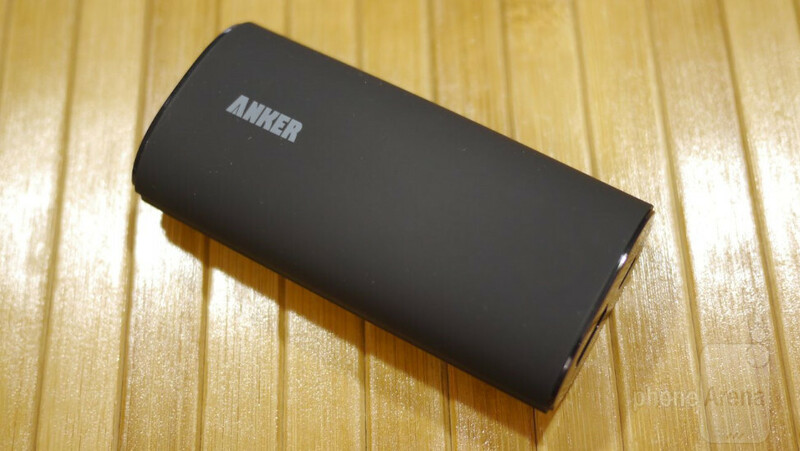 Interestingly enough, portable battery packs employ specific technology to properly charge stuff – and the Anker Astro is one of those that aims to streamline the process! Alright, we’re digging its minimalist design, as it sports a uniform black colored soft touch matte finish. With its cylindrical wedge shape, it definitely splashes on a hint of freshness to an otherwise cookie cutter appearance. Its flat top and bottom sides enable to stand upright by itself – while the accompanying weight is effective in giving it a sturdy construction. Along the top side of the Anker Astro, it features a microUSB port to charge its internal 5,000 mAh battery, which can be done using the included microUSB cable. Nearby, there’s a full-sized USB shaped port, dubbed as the Smart Port, that’s able to intelligently detect what kind of device is connected to it – thus supplying the appropriate amount of juice. Although it’s invisible to the eye at first, there are actually LED lights on the façade, which light up accordingly by shaking the Anker Astro. Indeed, it’s a different process from the normal push of a button – so it’s a cool and refreshingly different thing. Shaking it, the circular patterned LEDs light up in succession to show us how much is charged is left. Using an iPhone 5s, we’re able to get close to three full recharges from the Anker Astro – while other phones with higher capacity batteries, like the Nokia Lumia 1520 or Samsung Galaxy Note 3, get at the most 2 charges from it. For most people, it should be enough, but we wouldn’t say that it’s something that would get us through a few days. Currently, it can be picked up through Amazon for the hard-to-beat price of $29.99, making it a steal like no other seeing that it normally retails for $59.99. Overall, the main focus is achieved by the Anker Astro, but best of all, we appreciate how they mix things up with its shake to see its charged status.